During a combustion process hydrogen and carbon atoms of the gas come in contact with the oxygen atoms. Heat is introduced to the mixture increasing the molecular speed of the gas and oxygen molecules. The speed causes the molecules to collide with enough energy to break old bonds and create new ones. Molecules then release additional heat resulting in a self sustained combustion. New products produced are carbon dioxide (CO2) and water vapor (H2O). An inadequate primary air setting. Inadequate secondary air due to poor venting resulting from a blockage in the venting system or an inadequate amount of air in the room. Or, lack of heat due to flame impingement. The results of incomplete combustion can include poor equipment performance, sooting, and the production of carbon monoxide, which can be life threatening. Carbon monoxide is odorless, colorless, tasteless, toxic and combustion-able at high temperatures. It mixes with the blood and reduces the bloods ability to carry oxygen to the tissues and organs of the body. Symptoms include nausea, dizziness, flu-like symptoms, and chronic fatigue. The effects are determined by the CO2 concentration and your health and age. High levels of CO2 can lead to brain damage, organ failure, and death. Aldehydes are also produced from incomplete combustion. 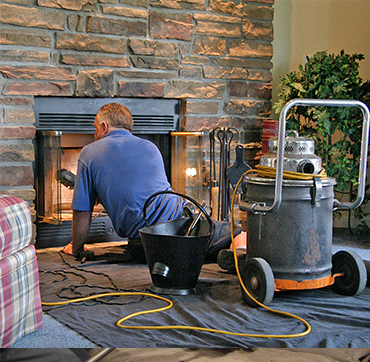 This can occur from flame impingement and contaminated air (lint, dust, hair). The result is a strong pungent odor. If aldehydes are detected, you can be sure that CO is present, too. Please note that CO can be present without aldehydes.